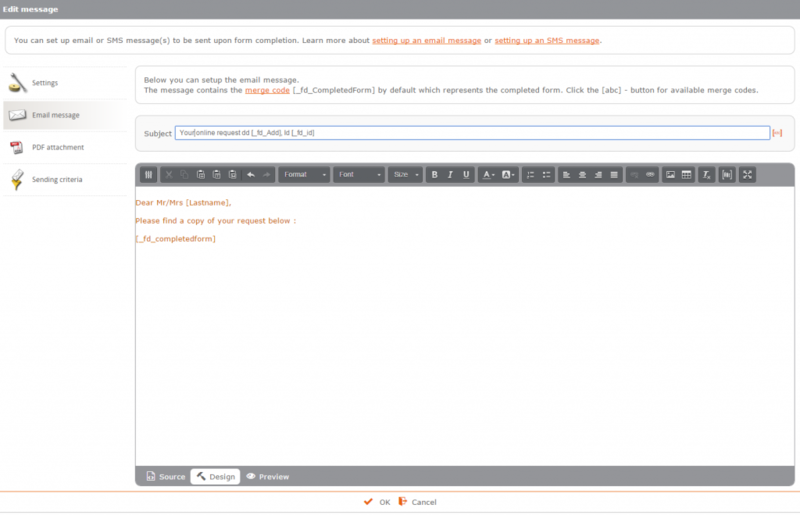 You can draft an email message that will be sent automatically to the user after form submission. 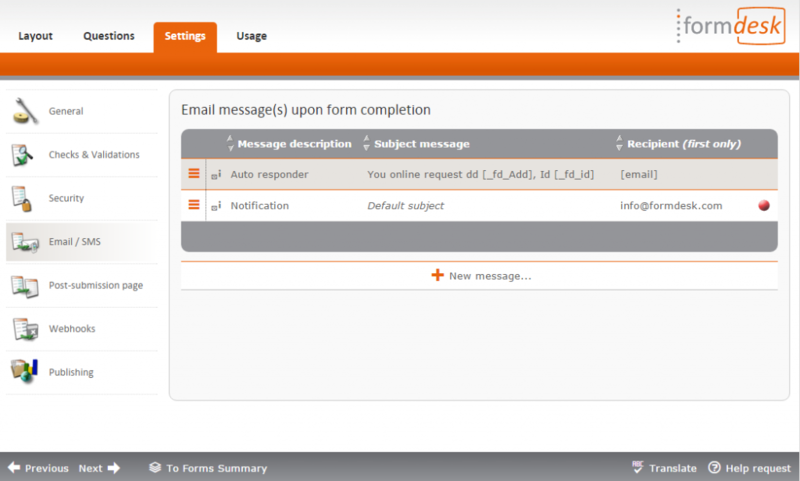 You can place the completed form in the automatic reply message. 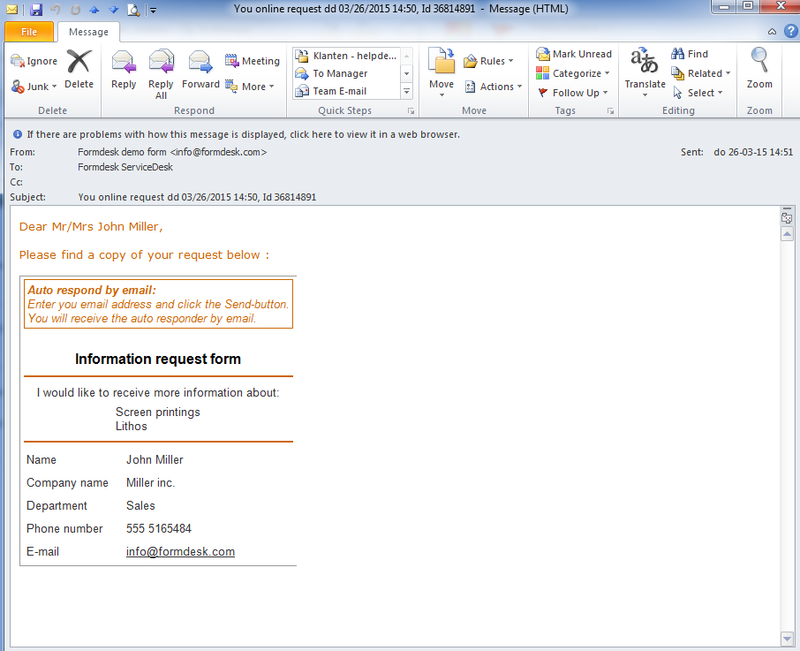 The subject of the reply message can also contain data submitted by the visitor. You can draft multiple reply messages and preset each message to be sent in a specific situation defined by the data submitted. For example: does the user have to indicate on the form whether or not he will be attending your event? Then draft two different reply messages, one for each possibility so the user always receives a personalized response. An attachment like an itinerary can be sent with the reply message. 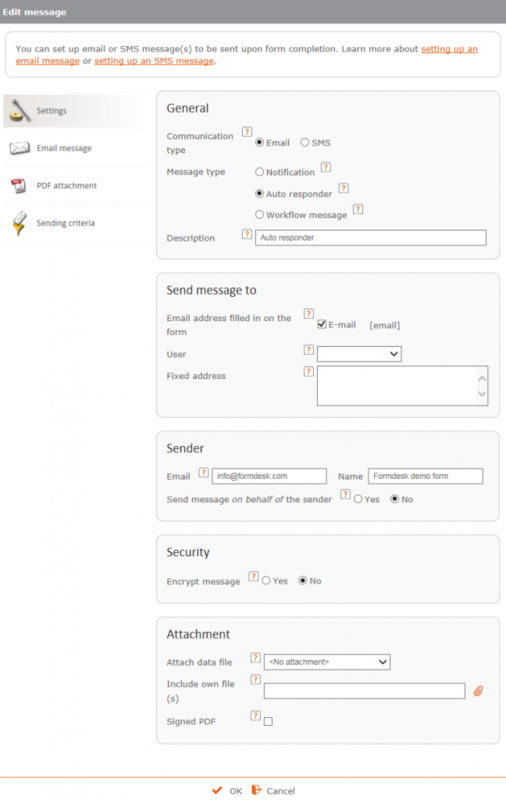 The reply can also include a PDF document, the content of which can be customized. The PDF can, for example, contain the completed form. You can include an “edit” link in the reply with which the user can return to his submitted form to make adjustments. The visitor’s message can be secured. 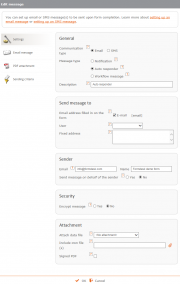 You can include submitted data in an encrypted, password protected PDF document or zip file attached to the email.